Monitor content performance in real-time to understand reach, engagements, and organic interactions across each campaign. 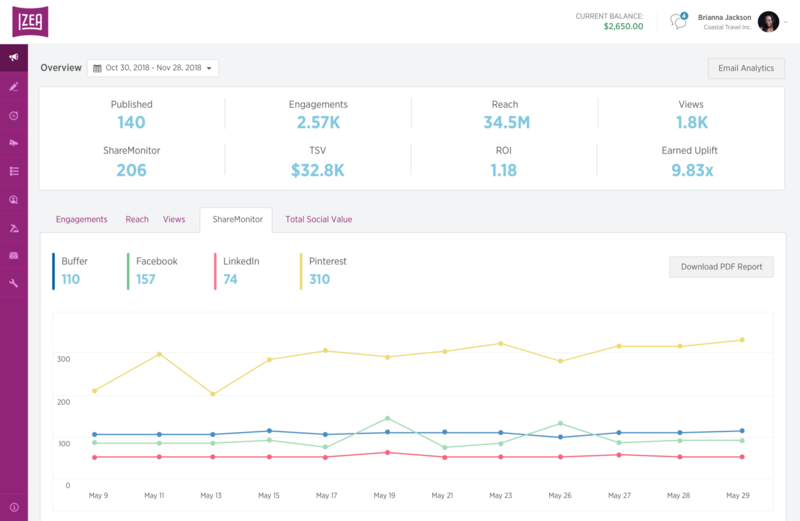 Track your overall campaign performance in real-time with the analytics dashboard. 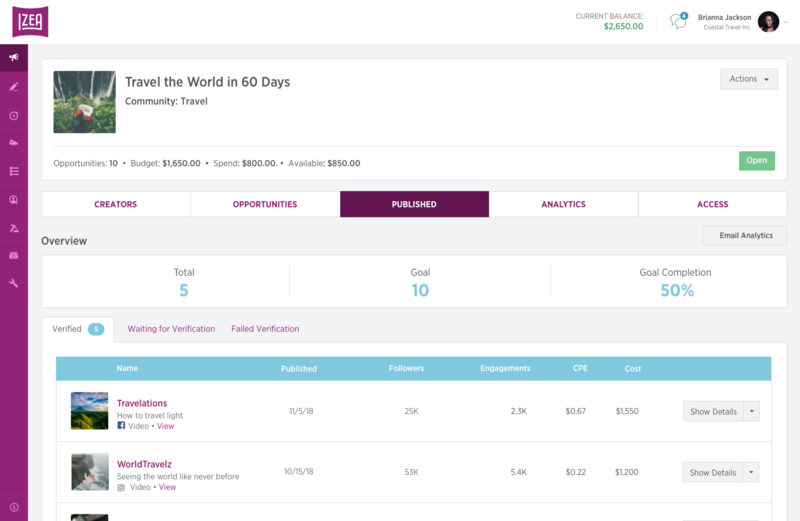 View the results of individual pieces of published content in your campaign. Understand the total value of a campaign based on the organic interactions and shares of the content. Easily download campaign analytics in a CSV file for further analysis. 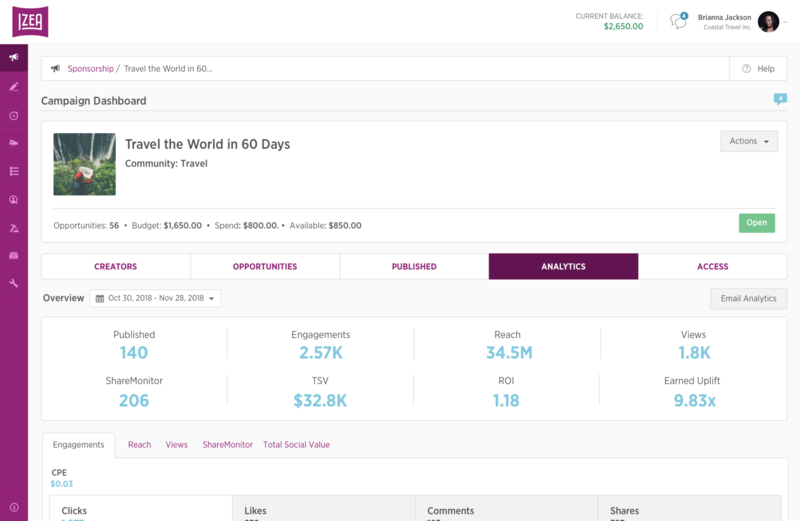 Track published content URLs to discover and measure organic shares across social media channels. Track campaign content URLs to find organic shares on other social platforms. Understand where your campaign content is organically shared. Safeguard your brand and eliminate fraud risks with all content systematically verified for accuracy before Creators are paid. Ensure every piece of content is published exactly how it was approved with systematic double verification. Save time with programmatic verification before creators receive payment.